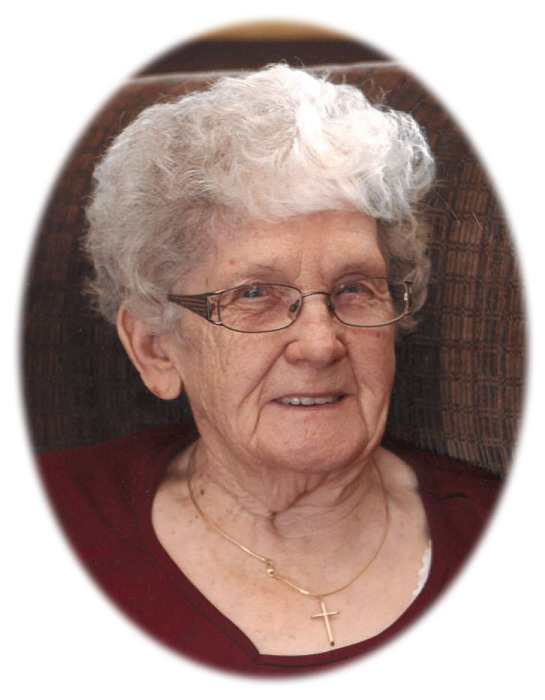 HAMILTON - Viola Rose Roberts Samuelson passed from this life to be with her Lord on Saturday, February 2, 2019 at 100 years old. She was born August 14, 1918 in Gering, Nebraska to Ira and Elizabeth Rose. The family moved to the Bitterroot Valley in 1921. Her father passed away in 1922 leaving a wife and six children. Her mother remarried to Roy Busenbark. She attended school in Victor and Corvallis. In 1935 she married Myrl Roberts. They had four children, Jack, George, Ilean and Cora Marie. Myrl passed away in 1948. She remarried to Sam Samuelson in 1952. They worked the land together on a large farm west of Woodside. When they retired from there, they moved onto a small farm on the Corvallis bottom ground, eventually moving into Hamilton in their later years. They were married fifty years. She is survived by her children, Ilean Miller and Corky (Ron) Pigman; fourteen grandchildren, twenty-five great-grandchildren, and seventeen great-great-grandchildren. Viola was preceded in death by her parents, her step-father, her husband, Sam Samuelson; sons, Jack and George (Charlotte) Roberts; brothers, Alvie (Irene) Rose and Wilbert Rose; half- brother Bob Busenbark; sisters, Lena Roberts, Eula (John) Wetzstone and Leone Rose; her sister-in-law, Katrina Olsen; and two great-grandsons, Rick Heitzenroder and Levi Pigman. Viola was a member of the Hamilton Eagles, the Hamilton Grange, the Bitterroot Valley Dusters and the Faith Lutheran Church. She volunteered for many years at the Commodity Center. She is remembered for always being in the kitchen helping out, especially for many years when the Grange operated a full-service café at the Fair. For most of her active life she kept a large garden and put up many preserves. She preferred to stay out of the limelight and worked tirelessly behind the scene to support many endeavors. She was honest, fair, caring, and deeply loved. Funeral services will be held on Saturday, February 9, 2019 at 2:00 P.M. at the Daly-Leach Chapel with a reception following in the funeral home’s community room. Private interment will take place at the Victor Cemetery. Condolences may be left for the family at www.dalyleachchapel.com.